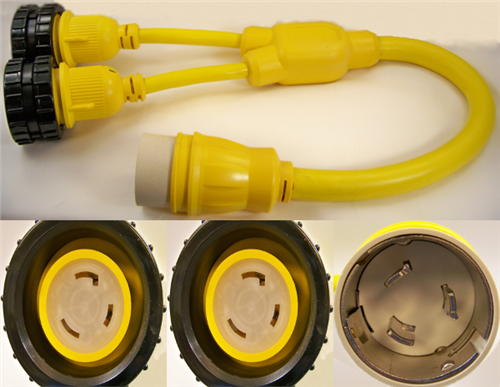 LED Indicators at all plugs and receptacles. The LEDs let you know when the power is connected! All High Tide Marine Cords products are of exceptional quality, allowing you to purchase with confidence. 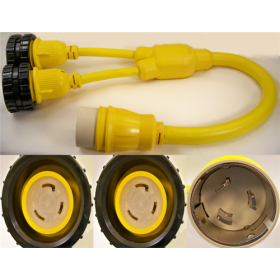 High Tide Marine Power Cords to fit just about any need in the marine industry. All are made using non-marring Yellow or White PVC material and are all guaranteed to be 100% water tight. Each cord is rigorously tested to U/L and CSA standards under fresh as well as salt water conditions. They are also RoHS Compliant. "Best on line shopping/ experience"
"Boaters Plus is an AWESOME company to deal with. I couldn't find a part for my old merc and they..."